It’s true what they say, everything is bigger in Texas. Texas is known for hard working, truck driving cowboys. Whether you make a living in the oil fields, ranching, or traveling to and competing in rodeos, a durable truck is a must. As with everything else in Texas, size matters. There is a reason Silverado offers a “Texas Edition.” Everything is bigger in Texas… except garages! 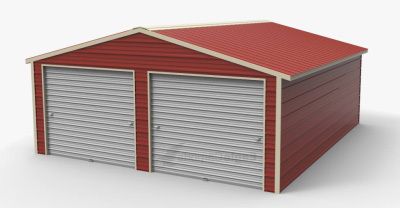 A standard size two car garage measures 18 feet in width by 20 feet in length, which is meant to house two 6 by 16 foot cars and can accommodate a Tacoma, if you select the single cab, short bed option. These dimensions are meant to store cars, not provide functional space for activities such as opening your doors, exiting the vehicle, or loading and unloading. Large garages may be 20 foot by 20 foot, which will fit your F-150 like a glove, if it’s a single cab version.The Texas Edition Silverado pulls into the driveway at over 21 feet long and almost 7 foot wide, making your truck “fitting” into your garage look like Chris Farley wearing David Spade’s coat. Being the workhorse that your truck is, it still deserves a space to call its own and be protected from the damaging Texas sun and stinging sand storms. 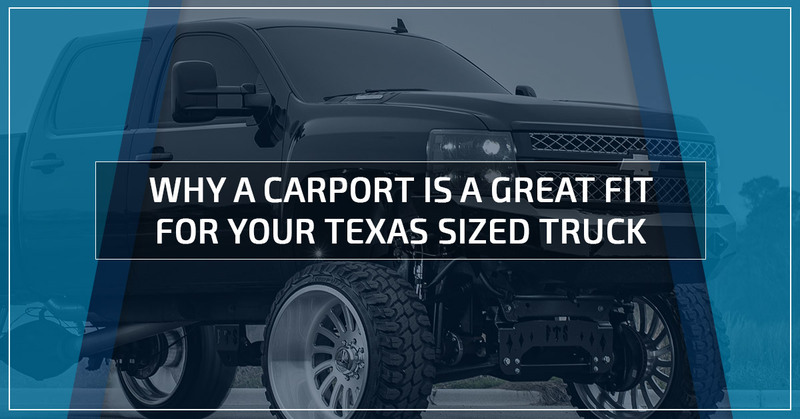 While you could move to a home that has a Texas sized garage, downgrade to a single cab- short bed, or leave your truck sitting in the heat, another practical option is to invest in a carport, or a custom “truck-port,” if you will. 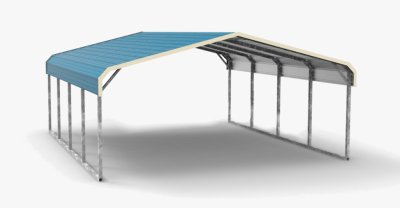 Carports are completely customizable to fit your specific dimensions and come in a variety of pre-set dimensions that accommodate larger vehicles. If you drive a crew cab, extended bed, dual real wheeled 3500, you can erect your carport at 13 foot by 23 foot to allow for doors and tailgates to be opened. Building a carport for your truck is also a great way to leave your bed full without worrying about weather or thieves. 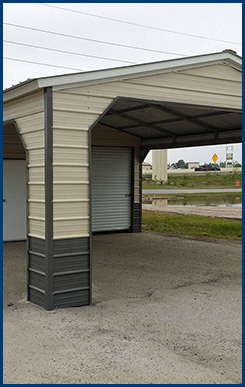 Wholesale Direct Carport services Texas as the premier custom carport distributor. They can build a structure to your specific dimensions and offer standard structures to fit your needs, including an enclosed detached garage. Their regular style roof carport includes two closed in sides and two gables ends. All anchors, braces, delivery, and installation is included with the base price, which costs less than the upgrade to 4×4 did. The are certified to withstand 110 mile winds and hold 20 pounds per square foot of snow. This structure is perfect to park your truck and trailer side by side. Don’t compromise on your truck package to fit your home, customize a space for your truck. Protect your investment, shelter your truck. 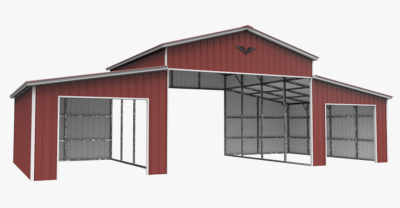 Wholesale Direct Carports is your premier carport Texas dealer, also specializing in detached enclosed garages and horse barns to meet all of your Texan building needs! Give us a call today!